Producing high quality content is table stakes for success in content marketing. But quality alone isn’t going to make you successful. I mean who are we kidding? We can’t even agree on what ‘quality’ content is. You’re focusing on producing a better version of an article that’s already been written 40 times. You’re fighting a fight you can’t win. You’re just adding to the noise. Especially in a competitive industry. So, what should you focus on instead? Two weeks ago I was going to a new restaurant for lunch. The restaurant is small and intimate, with a fair bit of breathing room between you and the next table. There was a man sitting alone just 10 feet away from me. Let’s call him Rick. Not the only other person in the restaurant. But as we’ll see, he was getting the attention of everyone there. The other 20ish people eating there were all having a normal conversation. The back-and-forth type between 2 or 3 people in which one person speaks, and then another. Think about it. You never hear another tables’ conversation at a restaurant. That is unless you’re being particularly nosey. This is the noise we filter out without thinking about it. About 10 minutes into my meal, Rick started talking about all matters of Trying To Sound Important Topics like “Did you tell Johnny about the contract...”, “is the deal blah blah blah”. It didn’t even take 30 seconds. Everyone in the restaurant was peaking over their shoulder at him. You could feel the tension. Conversations started to revolve around Rick. No, it wasn’t because everyone was interested in how important Rick and his business matters are. Instead, he was just talking on the phone. This one-way, no back-and-forth type of conversation is very different from the standard conversations in the restaurant. It’s low quality and annoying, yet it gets everyone’s attention. Rick shouldn’t break through the noise. He provides nothing of value, pretends to be smarter than he is, and tries to act important in public to satisfy his ego. Breaking through the noise is not about quality, it’s about being different. Let’s look at a few different approaches you can take to make your content unique. Search for the term “SEO services” in Google. What you’ll see is a laundry list of company service pages selling you SEO services. Among these you’ll see one blue link that stands at the top of the results. It’s also quite different from the rest. Everyone is trying to sell you on SEO services. 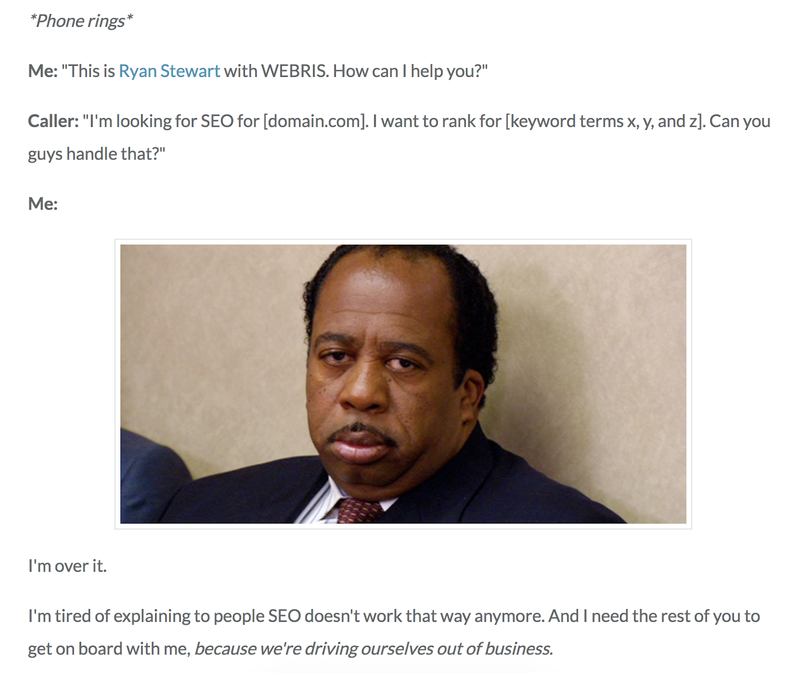 Ryan Stewart decided to tell you why he’s not selling SEO services. 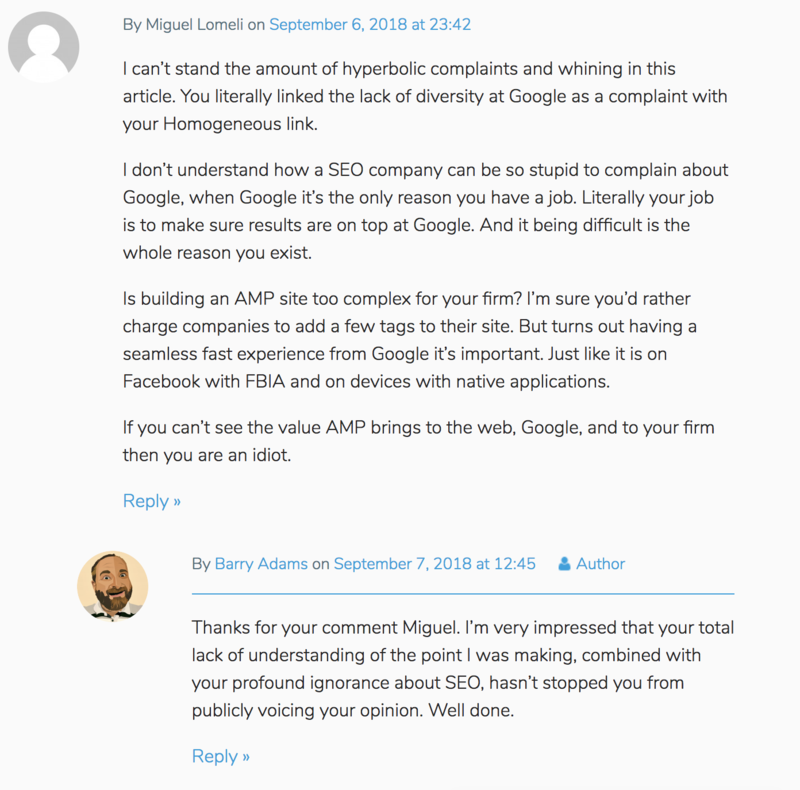 You may think this is silly or at least hypocritical coming from someone that is still selling SEO consulting. But what Ryan realized, and what I’m trying to get you to understand with the entirety of this post, is that being different gets noticed. Just imagine this scenario. You’re a business owner looking for help with SEO. The first thing you’ve heard is that you can rank #1 for ‘web development services’ and get a ton of new leads! You go searching for ‘SEO Services’ on Google. 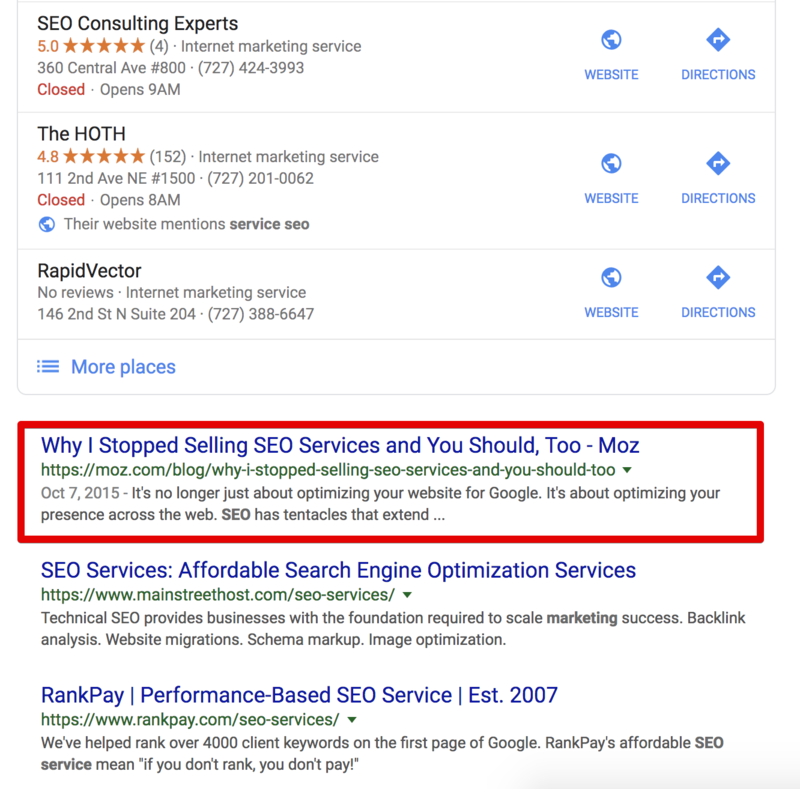 You see the title “why I stopped selling SEO services…” among all of the other results saying “buy our SEO services”. The article then makes an argument for how SEO has changed and what your business needs to do instead. Meanwhile every other page you visit in the results is pitching the exact opposite of what Ryan just told you doesn’t work anymore. I would imagine that’s why this single article continues to generate new leads for Ryan’s agency every month. I sometimes feel bad for Barry Adams . I don’t know him, but I follow him on Twitter. And as a technical SEO, it seems he spends the large majority of his time trying to explain code (and the tyrannical behavior of Google) to people that like to pretend they know better. Though through this frustration (maybe as a result of it) he consistently produces content that gets people talking. Take the topic of Google Accelerated Mobile Pages (AMP) for example. The typical writer would create a piece titled ‘what you need to know about Google AMP’, or ‘what is Google AMP and how does it work’. “F#$! you Google, and f#$! the AMP horse you rode in on. Now of course not every opinion piece Barry writes is going to resonate like this one, but when they do the results are extraordinary. Oh and one last note, Barry is smart. He’s not taking a strong stance on topics he doesn’t have a strong defense for. Take a second and google ‘how to hire freelance writers’. What you’ll find is a list of results all saying the exact same thing. And I don’t blame them… the process for finding and hiring writers for your blog is always the same. Find writers, create and share a one-sheet explaining your blog with them, figure out how much to pay them, etc. But Benji Hyam of Grow and convert knows that writing generic content isn’t going to help him break through the noise. To stand out, he wrote a post that goes into detail of his personal experience of finding, evaluating, and hiring writers. He doesn’t just write about what you should do and why, but instead he writes about what he does and why. The simple change from “You should look for” (what most blogs say), to “I usually look for” is quite powerful. He even follows up the 'what I do' with a section on 'why I do it'. No one can duplicate your personal experience. Use it to set your articles apart from the competition. Jessi Craige Shikman, editor at First Round Review, knows the value of personal experience. She doesn’t try to research and write generic posts about building startups--that’s what everyone else does. Instead, she taps First Round Capital’s network founders to get content straight from the front lines. 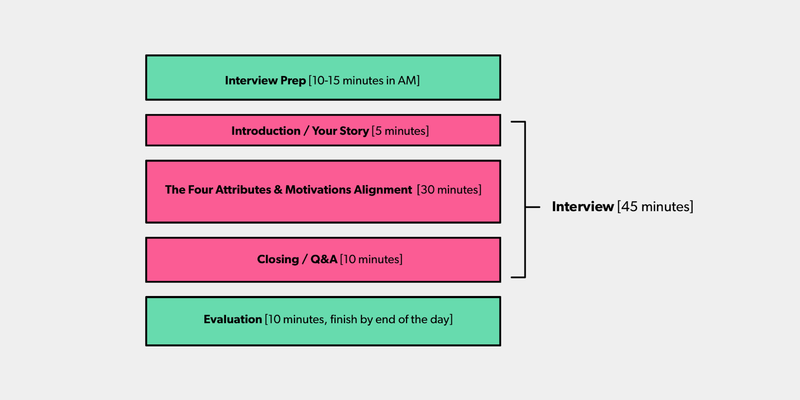 Take this post explaining how Gusto built scalable hiring processes. What you may notice is a video of a presentation by Josh Reeves, the CEO of Gusto. He’s presenting on his hiring process at First Round’s Founder Summit. 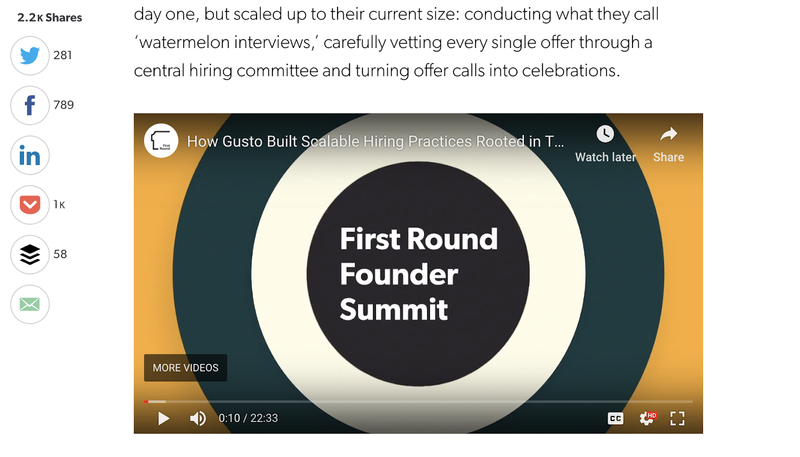 Instead of theorizing about startup hiring practices, Jessi used Gusto’s actual experience as the basis for her article. Equipped with this detailed inside look, she weaves a narrative around Josh’s experience to include additional research, images, and explanations. The final product is a unique, 5,000 word article that stands far above its generic ‘best hiring practices’ counterparts. And there’s no question, at 2,200 social shares, that it resonated with FirstRound’s audience. In content marketing there’s always been this idea around not talking about your products. What you should do is focus on education they say. 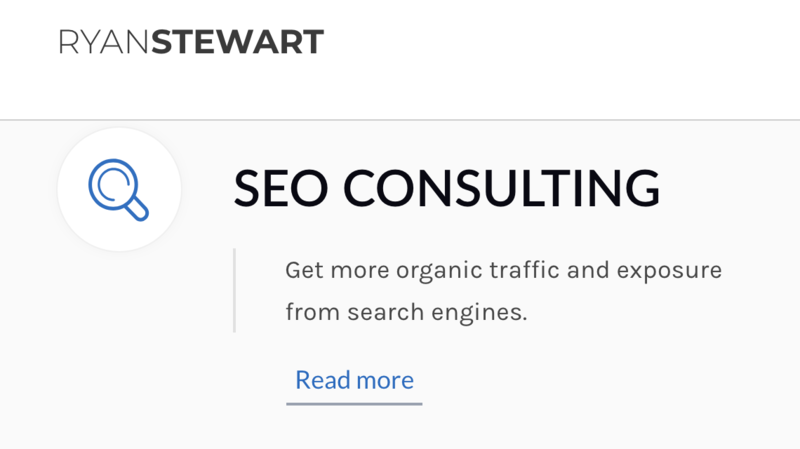 One of the first SEO blogs to really take this to heart was Moz. Their high quality articles were packed with valuable information and rarely promoted their own products. Until recently, this strategy was the go-to for content marketers everywhere. Educate, don’t sell. But not long ago the company Ahrefs decided to take a different approach. While still doing a great job of educating users on SEO, Ahrefs has no shame in mentioning their product constantly. A lot of their how-to guides feel more like how-to-do-it-with-Ahrefs guides. 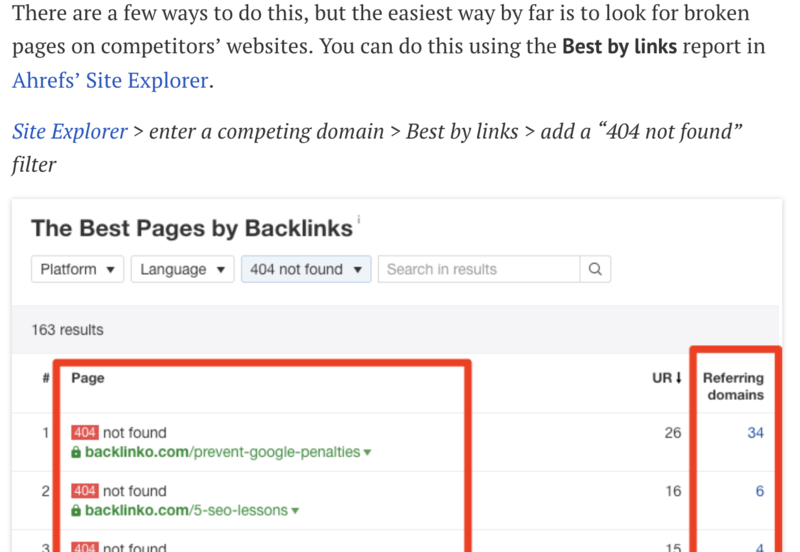 Just take this article recently published on link building strategies by Joshua Hardwick. My guess is because there are 10,000,000 articles on every facet of SEO imaginable, the detailed how-to-do-it-with-Ahrefs guides are standing out from the crowd because they’re different. Okay I know what you’re thinking. This article is all about why you shouldn’t focus on quality, so why am I bringing this up? Well, one of the simplest ways to create unique content is to make something so absurdly well researched, designed, and written that it can’t be ignored. This is the type of content Rand Fishkin refers to as 10x Content. 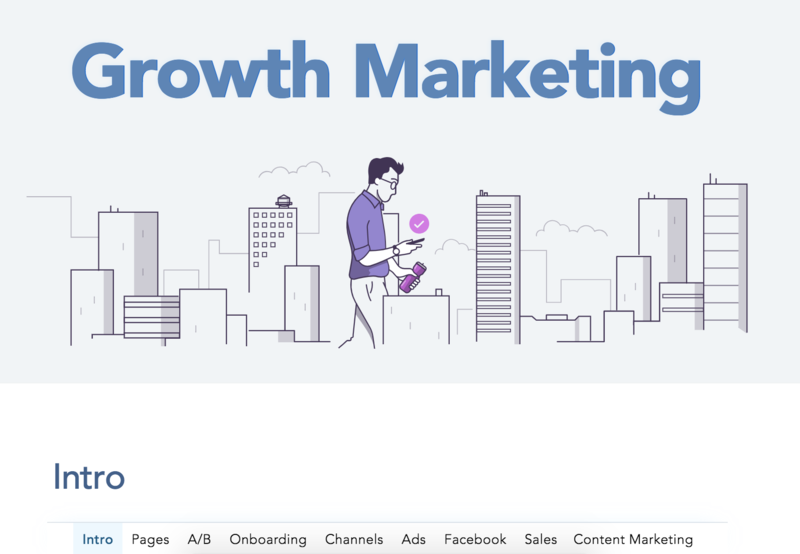 Julian Shapiro’s Growth Marketing Guide. It covers the entire spectrum of growth marketing -- landing pages, ads, testing, etc.. with each section weighing in at over 5,000 words. Julian spent over 400 hours of writing--or 50 hours for each section. But… because it’s more like a book than a series of blog posts, Julian launched it on Product Hunt and receive over 2,000 upvotes and the #3 product of the day. The approach is simple, create something 10x better than anything else every created on the topic. Though it will take quite a bit of work. As a last point, take this post as an example. I could've written another post about “how to write quality content.” But instead I wanted to write something different. That’s why I took a different approach to the conversation, included my personal experience at a restaurant to explain the idea, and used other people’s experience as examples to show you how they did it instead of simply telling you how to do it. Do you agree? Disagree? I’d love to hear your feedback and continue the conversation over on Twitter.